Thapsus is located at Bekalta, Ras Dimas, on the eastern Tunisian coast, between Lamta (ancient Leptiminus) and Mahdia (ancient Gummi). Thapsus has two ports. Portus Pristinus located in a natural shelter behind a large sand spit oriented towards the NW, and the main port sheltered by one of the longest ancient breakwaters in the Mediterranean Sea. Davidson (2014): transversal and longitudinal sections of the breakwater remains. The general feeling is that this breakwater is made of Roman concrete, but much natural rock is also scattered around the site. Our aim here is to formulate some hypotheses about its structure, hoping that detailed underwater archaeological surveys will be conducted soon. 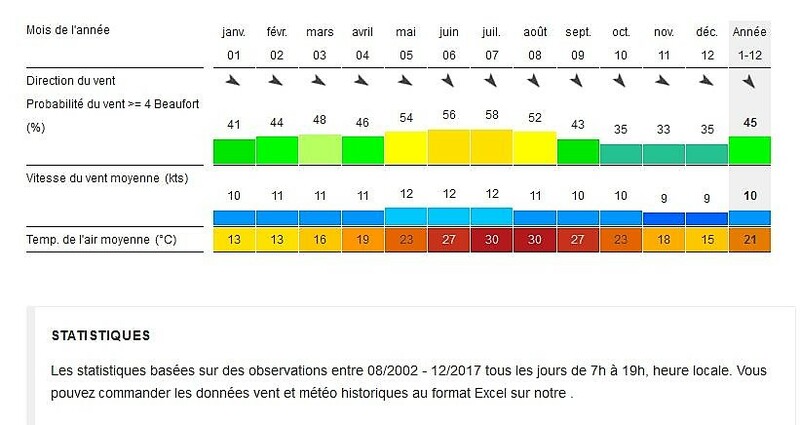 We will first summarise the local meteorological conditions, and secondly try to compute the long-term stability of the breakwater. 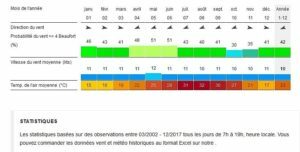 It can thus be seen that north of Nabeul the wind climate is rather different from that south of it: the famous ‘etesian winds’ from NW blowing in Egypt in the summer are not found South of Nabeul. 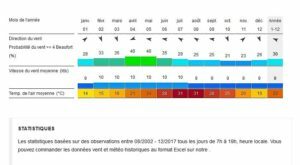 Mahdia area has the mildest wind climate: > 4 Bft for 10-20% of time in summer (NE), but is this correct?! Unprotected structures on these coasts may thus have quite some downtime. 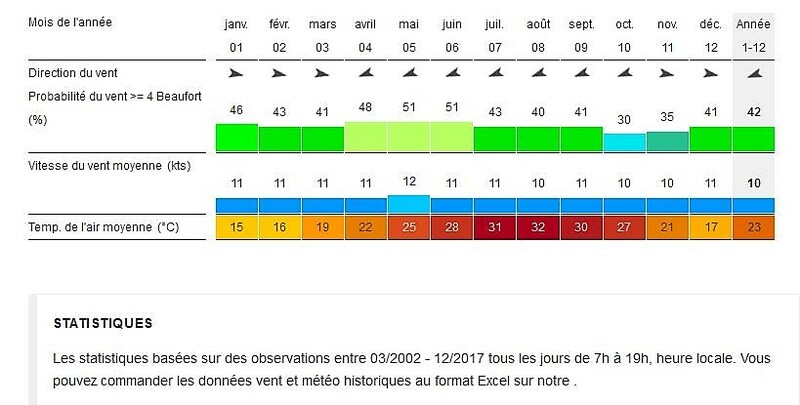 If we consider the wind force of 4 Bft (10 to 15 knots) as a limit for safe port operation in ancient times, then we may assume around 20 to 50% downtime during daytime, that is 6 to 15 days/month. This might be acceptable for commercial traffic that can wait a few days, provided downtimes are not too much concentrated, e.g. one week or more in a row. 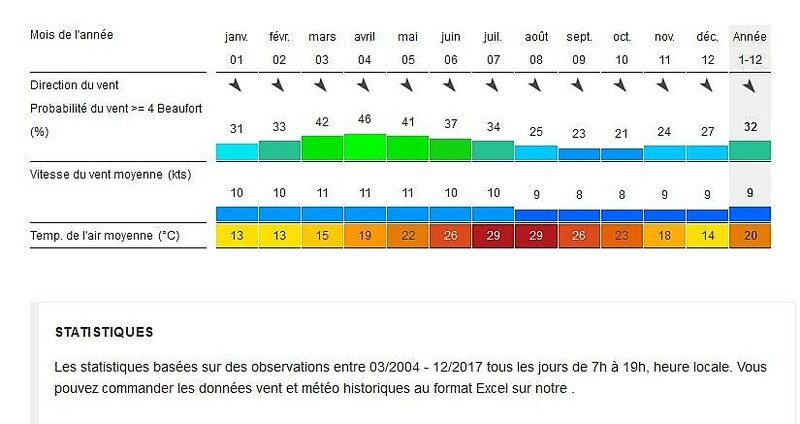 The largest tidal range is 1.8 m near Gabès. Note that the tidal range is somewhat smaller on the Kerkennah Isles and inside the bay of Bou Ghrara. 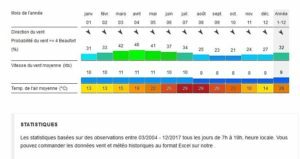 Little is mentioned about the tidal currents but they can be strong (1 to 5 knots) near Djerba (Houmt Souk and Ajim). 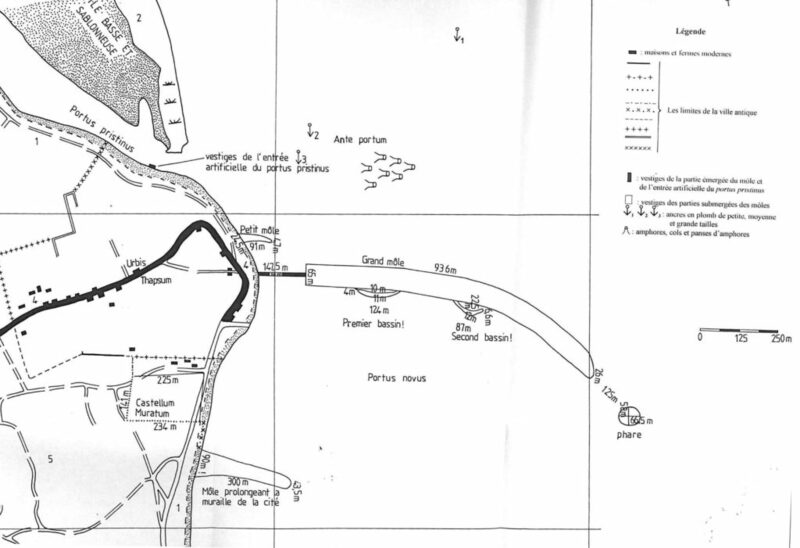 Lézine (1961) describes the onshore breakwater (p 145) “L’ouvrage est construit en blocage, mais celui-ci présente deux parties nettement différentes : une couche inférieure de 2 m 40 de hauteur, dont le mortier de couleur foncée comporte une forte proportion de pouzzolane ; une couche supérieure (1 m 30), dont le liant – beaucoup plus clair – contient des grains d’une roche dure de teinte noire ou verte […] Les trous qui percent la masse ne sont pas les soupapes de sureté imaginées par Daux, mais simplement les logements de rondins qui ont disparus depuis longtemps”. This is clearly a structure built with concrete poured into wooden caissons, like in Caesarea Maritima (Israel). Yorke (1966) mentions (p 15) “concrete and large squared blocks of average size 1.5 x 1 x 8 meters”. He estimates the total volume of the breakwater remains to 0.2 million cubic yards (153 000 m3). Younes (1997) explains (p 207) “La face nord bien exposée à ces vents est revêtue d’un parement de pierres de bonne taille et de gros blocs en béton. Ces blocs s’étalent sur une longueur d’environ 636 m à partir de la fin du môle. 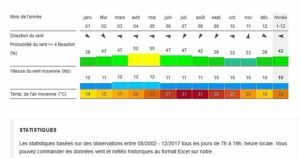 Ainsi, à l’origine, la face nord bien exposée aux vagues est parementée de gros blocs de béton et de pierres dont la taille est en rapport avec la profondeur et par conséquent avec la taille et la force des vagues. 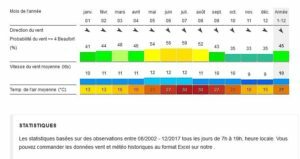 Quant à la face sud abritée des vagues, elle est parementée sur sa grande partie de pierres de petite taille et fournit un quai permettant aux navires de s’y amarrer”. Hence, the north side consists of large concrete slabs composing a vertical wall which is protected by smaller rock placed in front of it. This construction method is still used on some modern breakwaters. Davidson (2014) was on site with Yorke in 1966 and tells us (p 36) “The visible part of the structure was clearly made by the classic Vitruvian process of casting concrete into wooden caissons confirmed by the existence of holes in the mole with vestiges of the horizontal timbers that had once tied the sides of a caisson together. The submerged part of the mole was made by another traditional Roman process. This involved tipping large quantities of quarried rocks from carts, or over the sides of boats, for long enough and in the right place for the surface eventually to be broken and a shelter from the weather thereby formed”. According to him, the offshore and the onshore parts of the breakwater were not constructed according to the same methods. 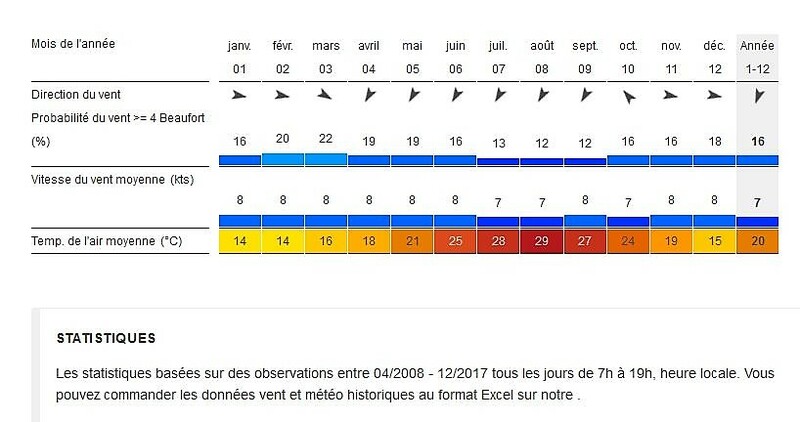 Younes’ survey shows that the offshore breakwater remains have a width of 65 to 81 m. The water depth is 1.1 to 8.3 m on the north side, and 1.7 to 7.4 m on the south side. 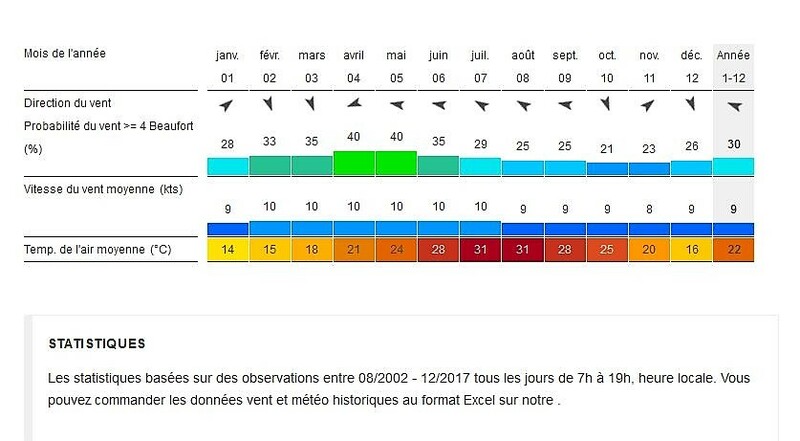 The figures show that the southern side was around 1 m above the northern side, probably due to some sedimentation inside the inner port. Younes computed the volume of the breakwater remains found under water at 131 450 m3 and showed that this volume is close to that of a vertical offshore breakwater that would be made on the same design as the onshore breakwater (around 100 000 m3). 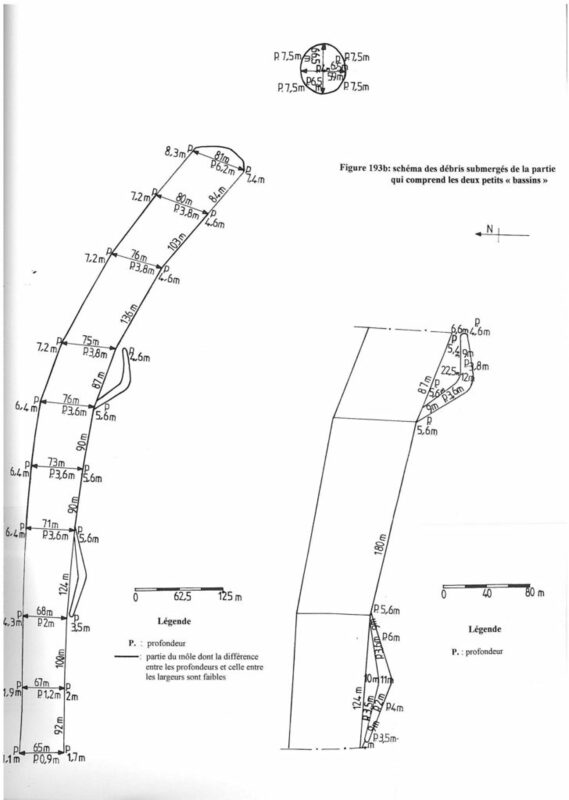 Our own computations show that this volume increases to around 140 000 m3 if a rubble mound was built in front of the vertical breakwater on its northern side. Our computations also show that a traditional rubble mound breakwater with 5 m crest width at 4 m above sea water level and 1:1 slopes would have a similar volume of around 140 000 m3. The combination of a vertical breakwater placed on top of submerged rubble mound would yield a similar volume. The volume of the submerged remains indicates that the breakwater was built by men and destroyed by the sea and we are going to show hereunder that the breakwater could indeed not survive without damage during a 2000 year-period. An analysis of long-term stability concentrates on the worst possible wave conditions, considering that they will eventually occur in the long term. This means that we consider only cases with waves breaking near the submerged structure. Hence, the local wave climate must include waves large enough to break on the water depth in front of the breakwater. The location of Thapsus on the Tunisian coast allows for large waves to approach the breakwater from north and from NE. 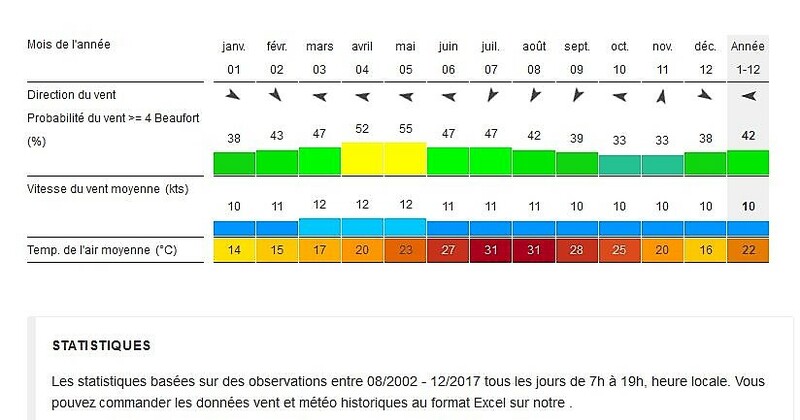 It is widely accepted that random waves are breaking when their significant height Hs is around 0.6 h (h is the local water depth). Hence, on the 6 m water depth in front of the Thapsus breakwater, waves with Hs = 4 m can exist just before breaking. Such waves most probably occur one or more times each year in this area of the Mediterranean Sea. 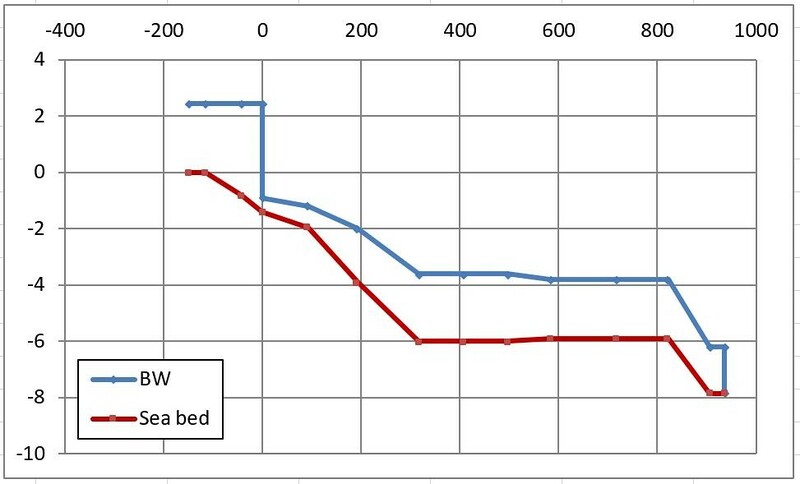 We are thus allowed to use the graph below (A. de Graauw, 2014). Let’s look at the part of the breakwater located on a water depth of h = 6 m, and let’s consider the rock size Dn = 0.5 m: the crest of the breakwater remains will then be at 0.7 h below the sea water level, that is around 4 m below SWL, which is confirmed on site. However, should the rock size be larger, e.g. Dn = 1 m, the crest of the remains should then be around 2.5 m below SWL. Let’s now consider a supposed vertical structure consisting of several layers of Roman concrete poured into wooden caissons. Each layer of concrete adheres more or less on the layer below it and can thus be moved by wave action. 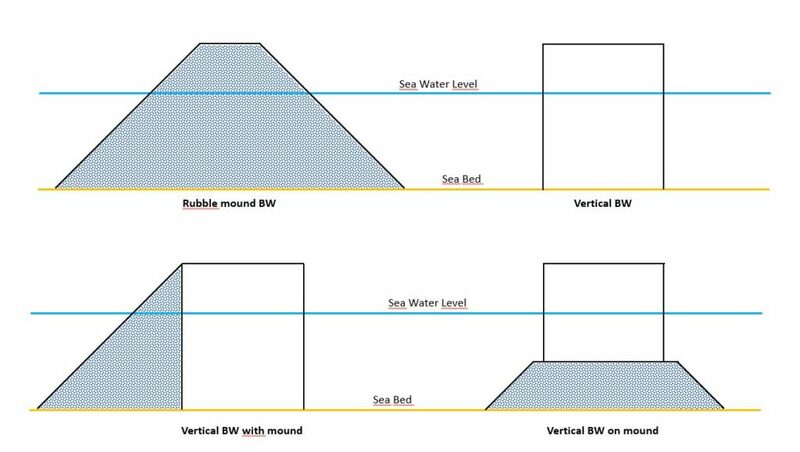 In other words, an ancient vertical breakwater is not monolithic (like modern breakwaters usually are) and can therefore be destroyed layer by layer by wave action. Yoshimi Goda (1974) provided a computation method to estimate the maximum wave pressure on vertical walls. 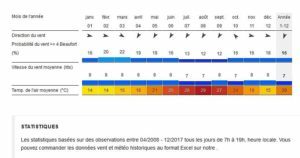 In the case of Thapsus, the horizontal wave pressure is around 15 ton/m2 at the sea water level and a bit less near the sea bed. 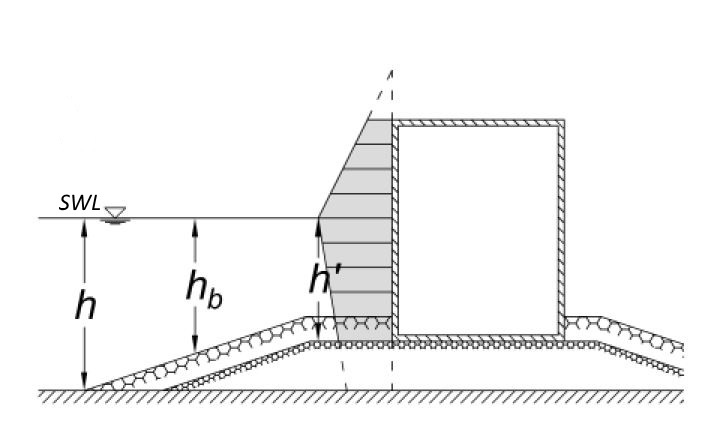 The cross-section of the concrete slabs being 1.5 x 1.0 = 1.5 m2, the horizontal wave force on a block is 15 x 1.5 = 22.5 ton. 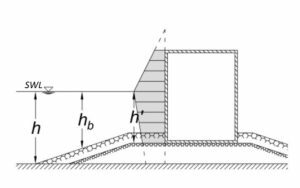 The block resists to this wave force through its friction on the underlying block, and this is estimated to 0.75 x the weight of the block (1.5 x 1 x 8 m3 x 2 ton/m3 = 24 ton), i.e. 0.75 x 24 = 18 ton. In other words, the block can resist to a horizontal wave force of up to 18 tons, but the actual wave force is over 22 tons, inducing sliding of the block. 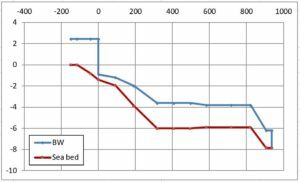 Concluding this short study, the Thapsus breakwater was not stable in the long term. The volume of the breakwater remains could be from a vertical breakwater made of layers of Roman concrete as well as from a rubble mound breakwater, or some kind of combination. Further underwater survey of the remains might give an answer: a vertical breakwater would show large slabs of Roman concrete, and a rubble mound breakwater would show smaller quarry rock. Daux, A., 1869, “Recherches Sur l’origine et l’emplacement des Emporia Phéniciens dans le Zeugis et le Byzacium”, Imprimerie Impériale, Paris, (pp169-171). Davidson, D., 2014, “The Enigma of the Great Thapsus Harbour Mole”, International Journal of Nautical Archaeology, 43.1, (pp 35-40). de Graauw, A., 2014, “The long-term failure of rubble mound breakwaters”, Revue Méditerranée., (9 p). Goda, Y., 1974, “New wave pressure formulae for composite breakwater”, Coastal Engineering Conference, Copenhagen, ASCE, (pp. 1702-1720). Yorke, R., 1966, “Cambridge expedition to Sabratha”, Report, (43 p). Younes, A., 1997, “Recherches sur la ville portuaire de Thapsus et son territoire en Byzacène dans l’antiquité”, Thèse de doctorat, Université Grenoble II, (484 p).